Sefiani yesterday launched global professional services organisation EY’s (Ernst & Young) latest research paper, The University of the Future, calling for the reshaping of the Australian higher education sector to meet the changing demands of students, government and employers as digital technology reshapes the social, industrial and workplace landscapes. Among other findings, EY’s research revealed academics, teachers and employers consider many university courses will soon be obsolete unless they are overhauled to reflect the rapidly-changing nature of industry and employment, the result of what EY calls the Transformative Age. Within 24 hours of launching the research paper, Sefiani secured 17 interviews for EY’s spokesperson, producing over 71 news items and reaching a potential national audience of over 15 million Australians. An online article in the Sydney Morning Herald was top-ranked in the evening, and remained in the top three the following day, generating more than 120 comments on the article, and more than 250 counts of engagement on social channels. 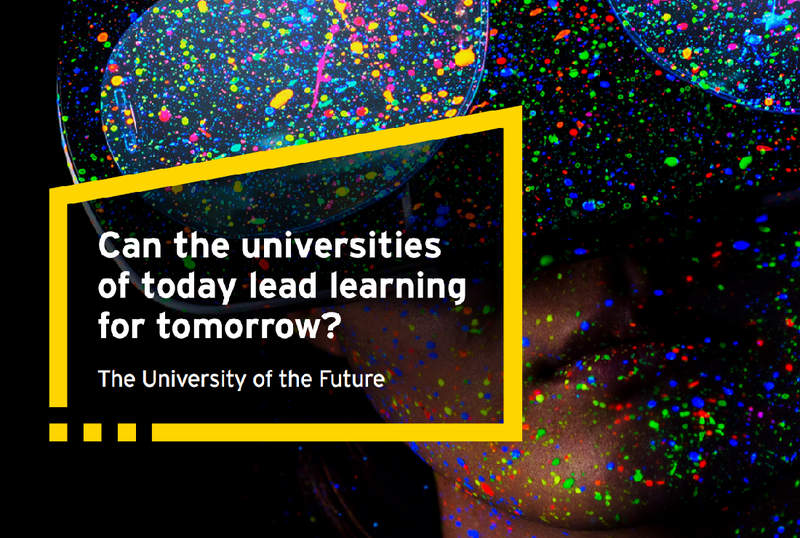 1 May 2018, Melbourne: A new research paper from global professional services organisation EY, The university of the future, has called for the reshaping of the Australian higher education sector to meet the changing demands of students, government and employers as digital technology reshapes the social, industrial and workplace landscapes. A comprehensive assessment of the readiness of Australia’s universities to adapt to disruptive forces, the landmark EY research incorporates interviews and workshops with more than 50 university leaders, policymakers and observers, and surveys of more than 3000 students and employers. Among other findings, large numbers of academics, teachers and employers consider that many of the degree courses offered at universities in Australia today will soon be obsolete unless they are overhauled to reflect the rapidly-changing nature of industry and employment, the result of what EY calls the Transformative Age. Catherine Friday, EY Oceania Education Leader, said that only universities that could rapidly adapt their business models to this Transformative Age would be sustainable over the long term. “Australian universities are under threat from changing learner preferences, new competitive models and international competition. They need to move now to ensure they meet the needs of a changing society and changing economy,” Ms Friday said. “We should not underestimate the challenge – it’s not clear that all institutions will be able to make the leap. Universities are faculty-focused and prioritise the needs of teaching and research staff over students. With half of employers surveyed claiming that degrees in management and commerce are not worthwhile, the EY report urges universities to collaborate more closely with industry in creating course content to produce more work-ready graduates. “Australian universities are ranked last in the OECD ranking for the ability to collaborate with business on innovation. Fixing that has become an urgent priority – fifty-one percent of international students believe their degree needs to be transformed and the university leaders we spoke to estimate that forty per cent of existing degrees will soon be obsolete,” Ms Friday said. EY’s analysis urges the development of a coherent national vision and bipartisan support in defining what a fit-for-purpose, vibrant higher education sector looks like in the year 2030. “For better or worse the policy choices of the past 40 years have given us today’s education sector. The policy choices we make now will define the education sector of 2030,” Ms Friday said. “There is a role for government to define what they want out of the sector and how it should support development of the Australian economy and the needs of our society. The sector should allow healthy competition and innovation, so that it can compete on the global stage. According to The university of the future, the most pressing need for government is to incentivize the development of future offerings in collaboration with industry. “We call this process double transformation, which is challenging and risky. Inertia is strong, resistance is deep and the politics are intense,” Ms Friday continued. “But policy makers need to step above the fray and start making decisions that encourages a more effective and efficient model that builds on existing strengths,” Ms Friday concluded.